Most people are familiar with street sweeping, but sidewalks also require regular attention in order to remain in excellent condition season after season. Professional sidewalk sweepers can remove everything that may collect on or appear on a sidewalk, from unsightly litter (such as gum, cigarette butts, and wrappers) to natural waste (dirt, sand, grass clippings, and animal waste) to stains (from liquids such as grease, oil, and gasoline). Regular attention from sidewalk sweepers helps keep your sidewalks clean and safe–the way they should be. For sidewalk sweeping in White Plains that is efficient, effective, and thorough, contact the team at Champion Sweeping Services today via telephone or email. 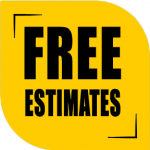 We will be able to answer any questions you have about our sidewalk cleaning service, and even provide you with a free cost estimate. Sidewalk sweeping isn’t a new venture for our team. Champion Sweeping Services has been keeping pavement clean in White Plains, Yonkers, Fairfield, and surrounding areas since 1973. The world has changed a lot in 45 years, and our chosen sidewalk sweeping trucks have evolved to keep up with the constant advancements in pavement cleaning. Our sidewalk cleaning service is performed with vehicles featuring the finest state-of-the-art technology. By using only high-quality tools and employing the knowledge imparted to us via four decades of in-field experience, we can ensure that each customer receives superior sidewalk sweeper service every time. Perhaps the one thing that hasn’t changed during our 45 years as professional sidewalk sweepers is our dedication to 100% customer satisfaction. Whether your property needs urgent attention to remove some unexpected rubbish or you’d like to receive regular visits from a sidewalk sweeper, our team can help you. To schedule a visit from our family-owned sidewalk sweeping company, contact Champion Sweeping Services today.